FDR in his Shriner hat. Thirty second President of the United States of America, and Freemason socialist. Holland Lodge No. 8 of New York City. His sons are also members of the order. 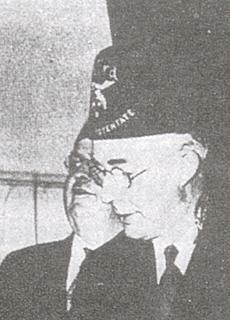 Was made the first Honorary Grand Master of the Order of DeMolay on April 13, 1934.